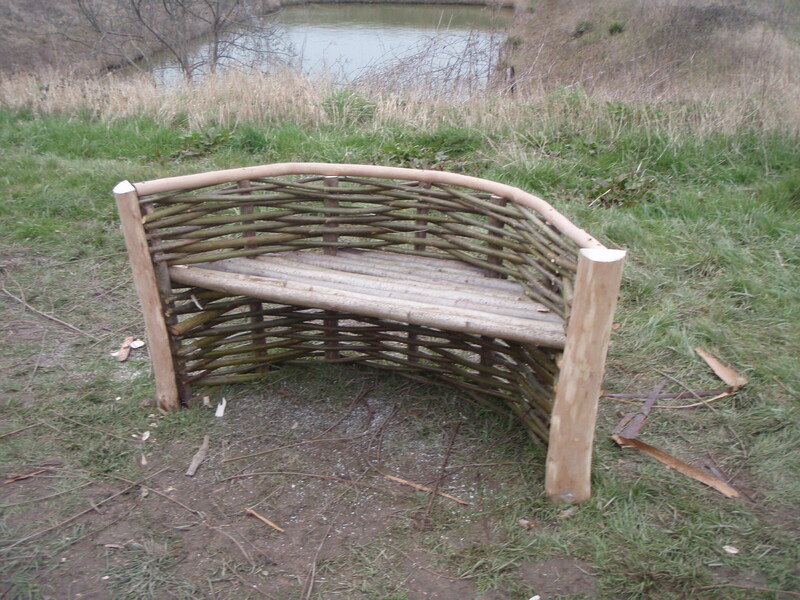 These benches are made using East Anglian willow, cut by hand from sustainably managed beds in Norfolk and Cambridgeshire. 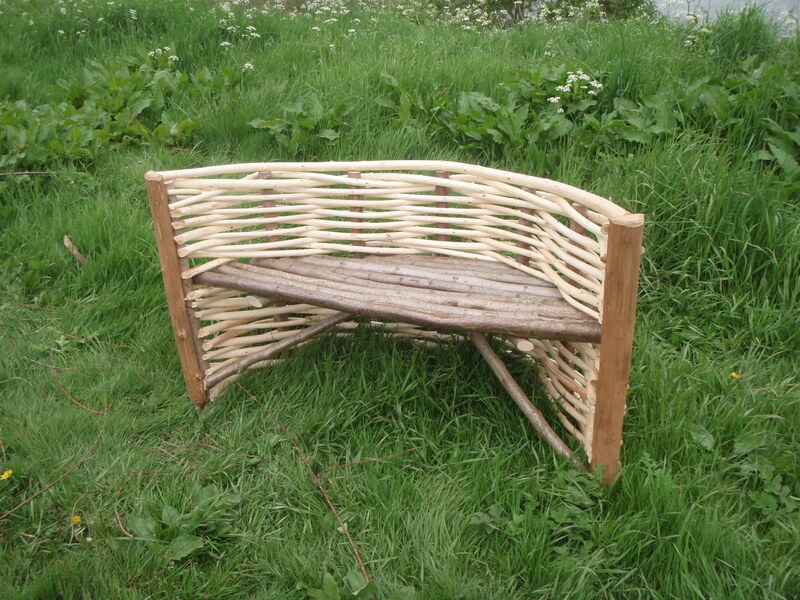 The willow is woven around hazel uprights, which forms a base for the seat, made from stout hazel rods. The hazel, along with the cleft ash or chestnut on the front of the arms, is harvested from sustainably managed coppiced woodland in Essex.